It’s never too early to take a peak at the future. Last week’s SLAM Rising Stars Classic at the Gatorade Hoops Center featured the best high school ballers in the Metro displaying their deep talent in front of pro players, college scouts, and their families. 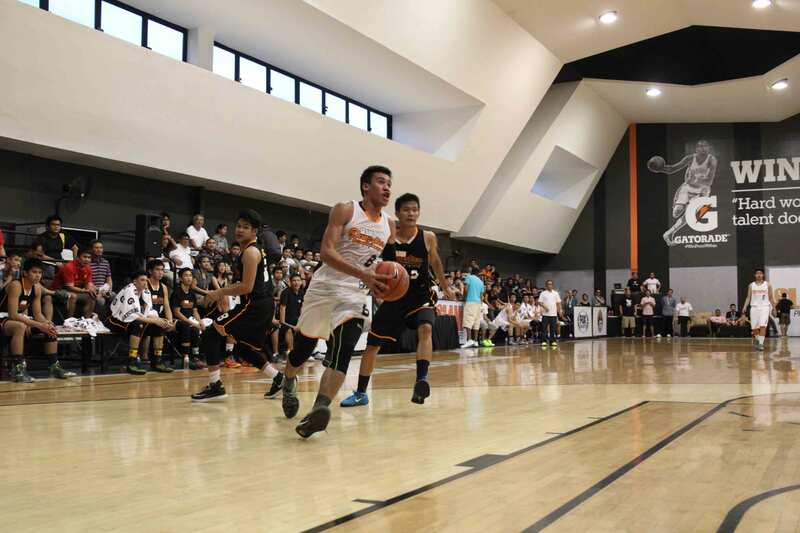 In our inaugural preps all-star game, Team Hype (who was coached by Youth tactician, Jamike Jarin and PBA superstar Jimmy Alapag) edged out Team Punks (who was coached by PBA “point-gods” Olsen Racela and Johnny Abarrientos) in a nail-biter, 93-90. 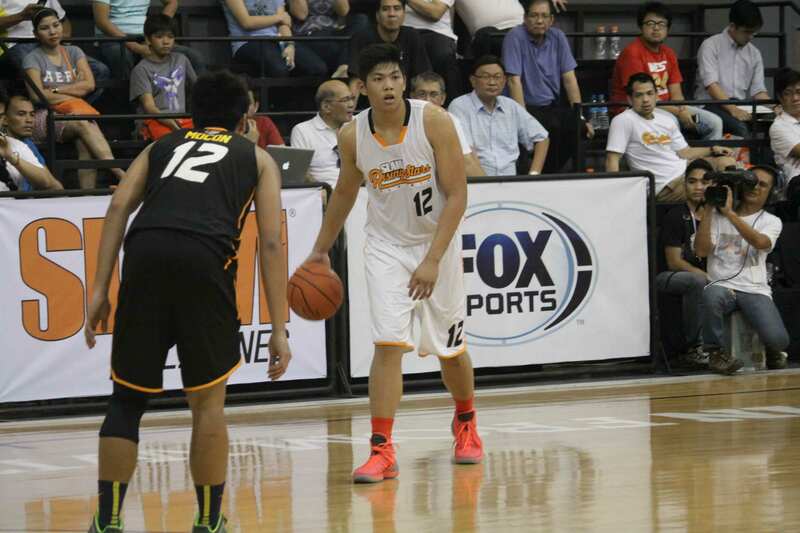 Former NU Bullpup Hubert Cani was hailed as the MVP as he led Team Hype with 19 points, 2 boards, 2 dimes, and 2 thefts. Thirdy Ravena showed great heart and determination as he almost led Team Punks to a rousing comeback win before finishing with 23 points and 5 boards. Hands down, Adorio is the most athletic prospect from this class. His bounce is Nuyles-like, and he did jump his way to 5 points and 6 boards in this game. However, for someone that’s listed as a guard, he definitely lacks the touch from the perimeter (His college coach should work on his shot mechanic, there’s just something wrong with it. You look at how he releases the ball and you know you can give little respect to his jay) and ball handling skills. He certainly looks like a natural PF trying to convert himself to be a guard in college. MVP. 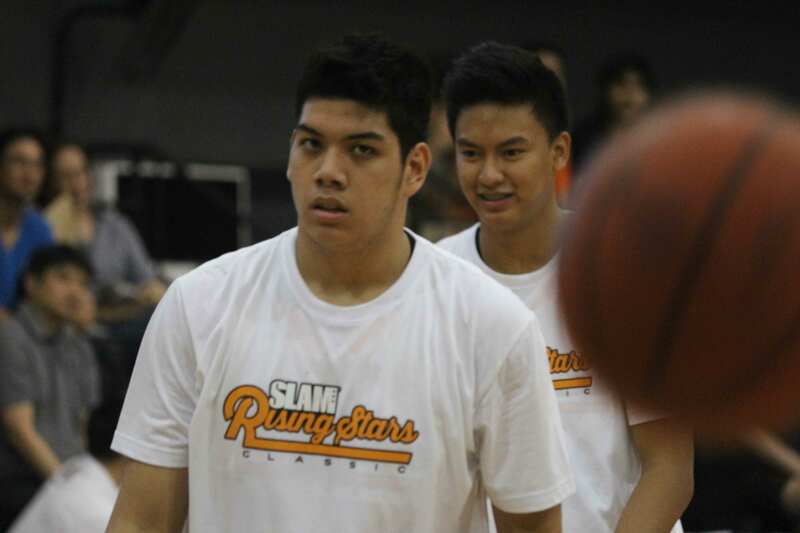 Despite the excess weight — almost to Paul Lee level — Hubert Cani impressed me the most at the SLAM RisingStars Classic. His off the charts basketball IQ and his ability to score around the midrange area reminds me a lot of — wait for it — Kiefer Ravena. Let’s just leave it at that. Cauilan wasn’t harldy pursued by big programs. That’s why he still doesn’t have a college school as we speak. But heck, he should be the steal in this class. On nights when Arvin Tolentino mails out, there’s really not much difference between him Cauilan. JP is a lengthy and sizeable SF at 6’4. He has a scorer’s mentality like Tolentino and it’s obvious that he’s been working on his handles as he ran the break well in the game. He also is a solid shooter from deep. The former Bullpup only came up with 5 points and 3 boards for Team Hype, but don’t be worried, the potential is really there. With all the stud PG’s in this class, the point guard out of Hope Christian HS had trouble making his presence felt. Dela Cruz only made a bucket from beyond the arc and that’s just about it. He has a lot to prove the NU coaching staff if he wants to get burn. There was nothing flashy about Doliguez’s game. He can’t shoot and he lacks ball handling abilities to be a scoring SF at the college level. But he’ll do everything else. He’s your Thabo Sefolosha, your Jireh Ibanes. Doliguez scored 6 points, grabbed 8 boards, and swatted 2 shots. He also shut down Thirdy Ravena in the first half. He might have trouble finding minutes in his rookie year with ADMU, but Clint is definitely the type of player that every championship team needs. Escoto was a tad bit disappointing in the game. I thought he’d out jump everyone to get offensive boards and put-back his way towards a double-double night. Maybe it was just one of those days. Richard finished with 5 points and 6 boards. Whatever happens, he always has his size, length, and athleticism to fall on. No worries with this guy, he has a lot of time to improve. The smaller of the Nieto twins noticeably struggled with the athleticism of the game. Matt, an incoming high school senior, however, did what he does best. He ran his team well when he was on the floor and he gave the other guards more than they could handle at the other end. He isn’t offensively explosive as the other guards in this class but he has one more year to work on his offense (more of a Jose Calderon type of player with better defense) The Blue Eaglet scored 8 points and grabbed 4 boards. Big Mike Nieto was the best rebounder in this game. He hauled down 11 boards and it was like he went into the game to do just that. It felt like he was on a mission to “outnose” the other bigs to the ball. Unfortunately for him, he won’t be able to rebound the hell out of the ball as he has always done since grade school in college. He’s gravely undersized at 6’1 to keep his center position at the next level. Good thing, he has one more year to lose more weight and to become more versatile. Tallying 13 points, 4 boards, and 3 steals, Prince Rivero displayed the reasons why he’s a 5-star recruit from this class. 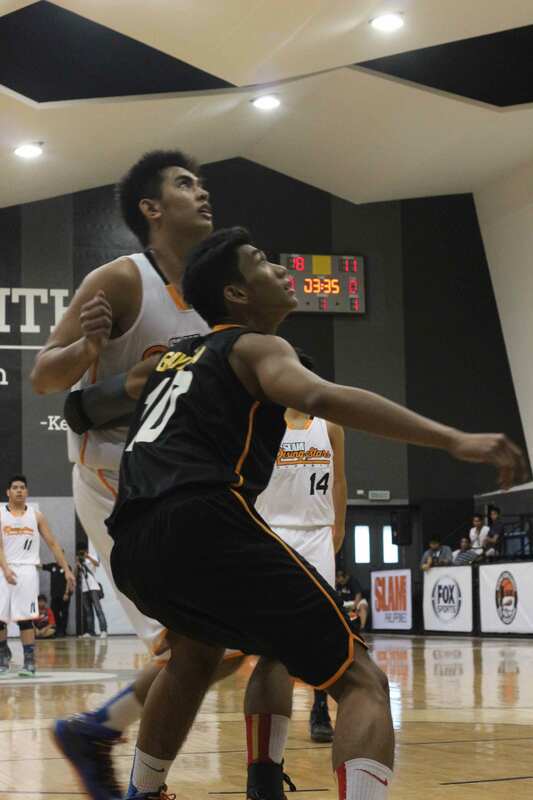 With a strong, agile, but undersized 6’3-205-pound body, the DLSU commit flashed his Dancing With the Stars footwork, his range, and his insatiable desire to grab rebounds. 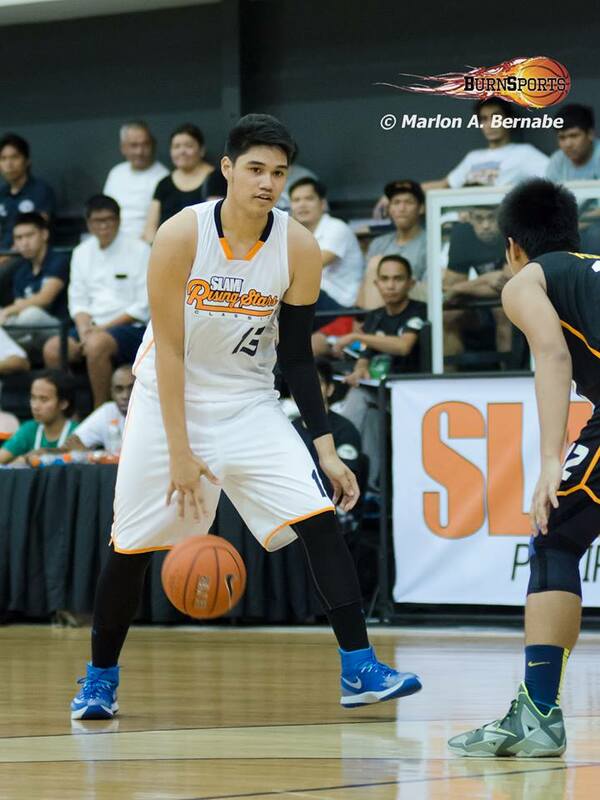 He definitely looked like a high school kid version of PBA star Ranidel De Ocampo. People are saying that he’s undersized to play the college 4, but I think his size is just right. If you put him at the 3 spot, you take him away from the paint. You take him away from where he makes his presence felt. But in some “break glass in case of fire” scenarios, and DLSU really has to put him at the SF position, I think Prince has enough agility and ball handling skills for that. Arvin is the best combination of size and skill coming out of this class — and maybe in a decade. He’s big enough at 6’5-210 to play the 5, but it’s obvious that his natural position is the 3. He’s a great finisher on the break despite looking very slow and sluggish. And although his jay from the perimeter isn’t on the deadly level yet, he has the mechanics to get there. 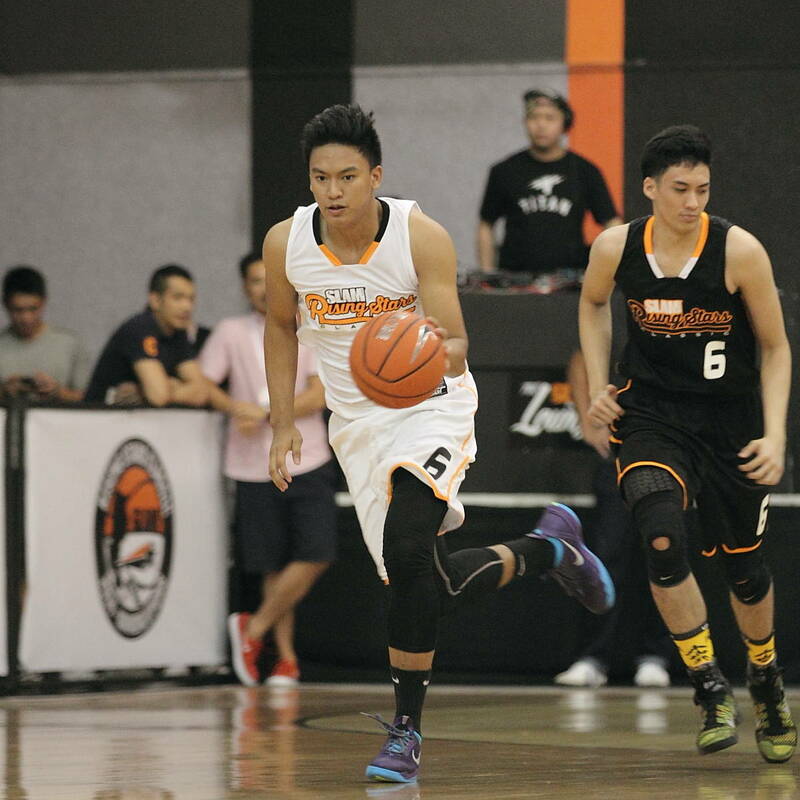 In some iso’s in the game, Tolentino displayed his slow but devastating crossover to leave other big men in the dust. You know what? I’ll throw out this comparison: he plays like a Paul Pierce with a less deadly perimeter game. Below these praises is a big knock on his game. On some occasions in the game, as he has done in so many HS games, the future Blue Eagle just mailed out and looked so disinterested. Ateneo obviously is willing to take the trade-off. A once-in-ten-years 6’5 SF? They’ll take him despite the red flags. Ranbill Tongco gets an A not because of his haircut, but because he surprisingly put up 17 points. 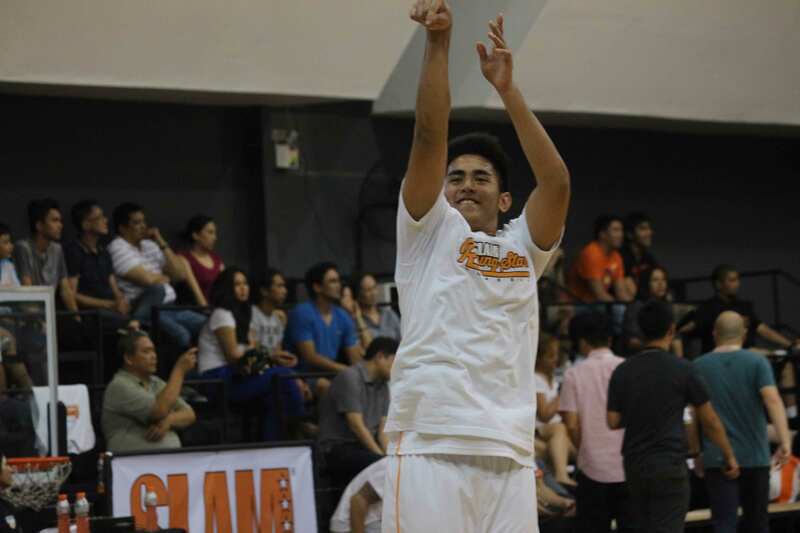 Playing next and against sexier PG names, Tongco, despite being a few notches below Cani, Dario, Diputado, and Subido in terms of explosiveness, was a wizard at picking his spots and scoring from midrange. If there’s one thing he needs to improve on it’s his ability to set people up. 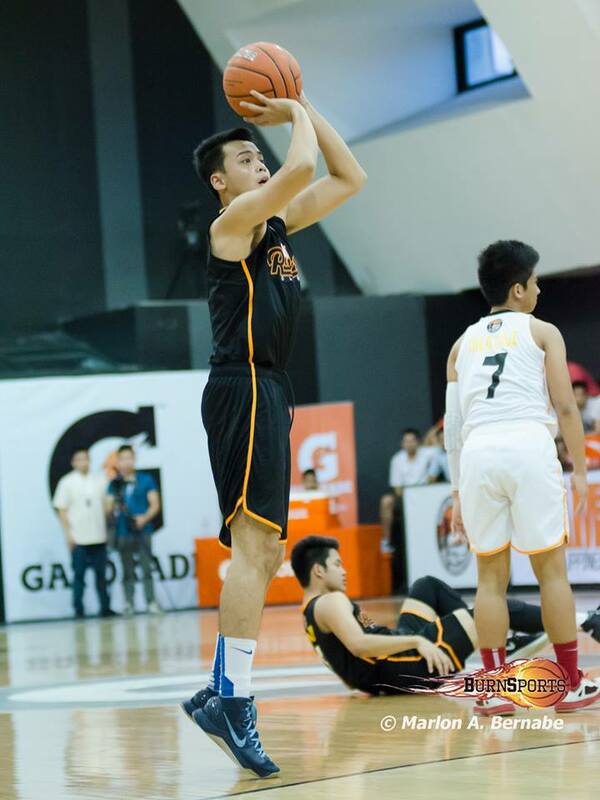 Good thing for him he’s going to SBC, where he can learn from Baser Amer the tricks of the trade. At 6’4-210, Apacible sports the strongest-looking body in his class — Prince Rivero definitely has something to say about that though. 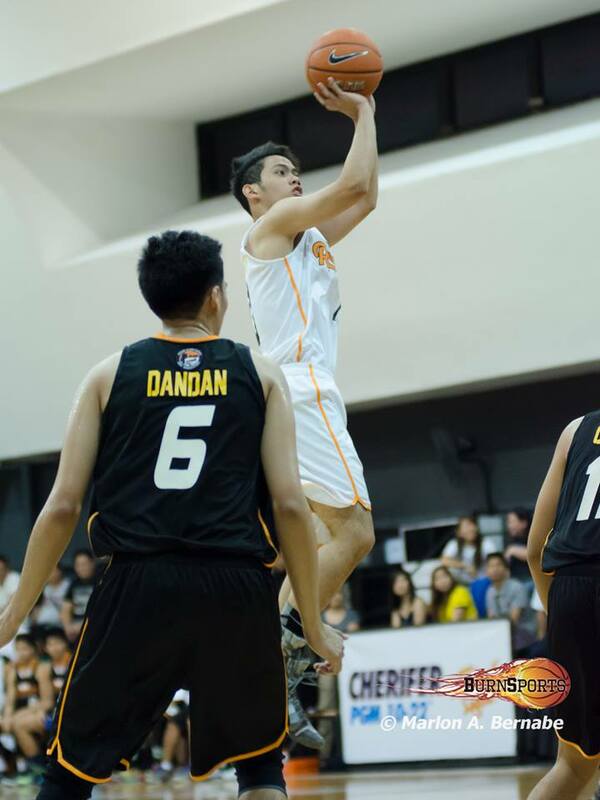 His arms and shoulders look swollen perpetually and they’re well-defined almost to Jeron Teng-level. At the Rising Stars Classic, he threw that burly body around on his way to 7 points and 6 boards. 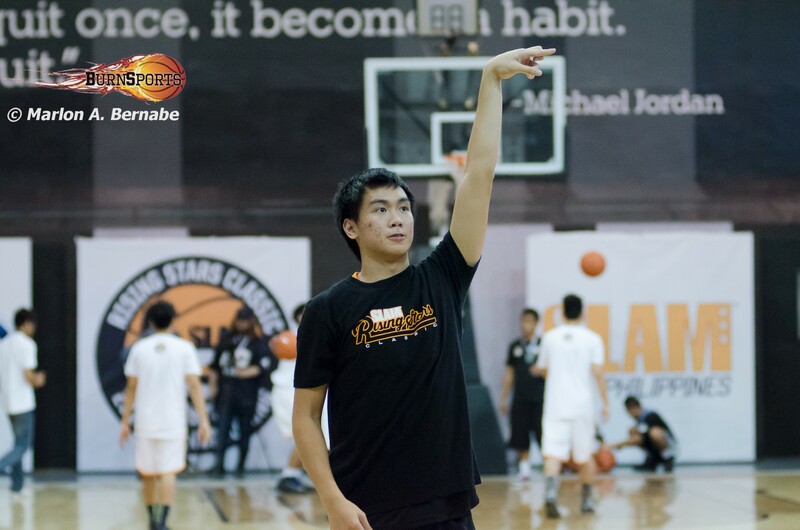 However, Ateneo’s skills development staff should be putting in the hours with him before Season 77 starts. 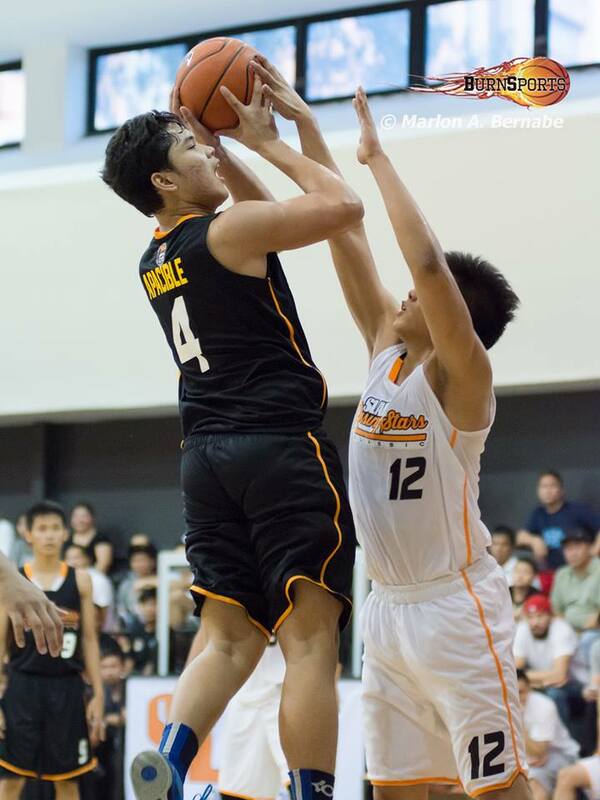 Right now, he appears to be another “Ivan Enriquez” — a big guy who can defend the post well with 5 fouls. 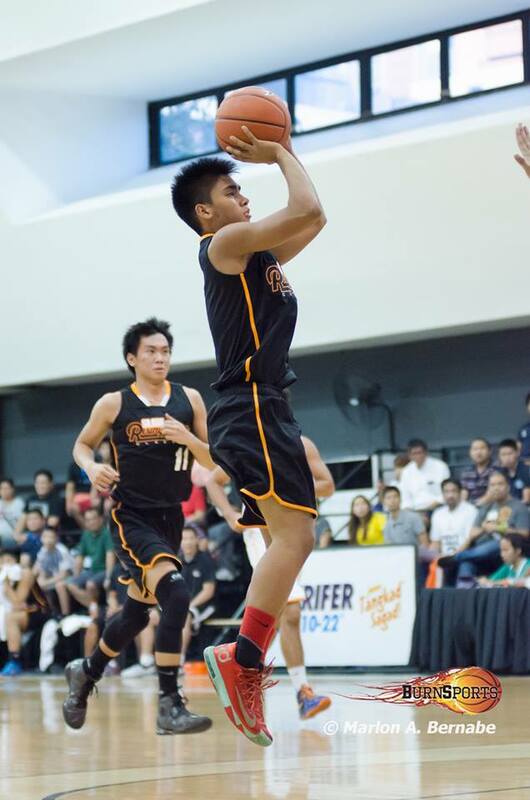 Diego is an explosive scoring guard coming out of UPIS. And for a few stretches in the game, he strung up buckets to create his personal mini run. Overall, he put up 8 points and 6 assists while displaying his ability to put the ball in the hoop as a PG. Despite having a ripped upper, Dario might be too small to guard bigger PG’s in college. We’ll see. 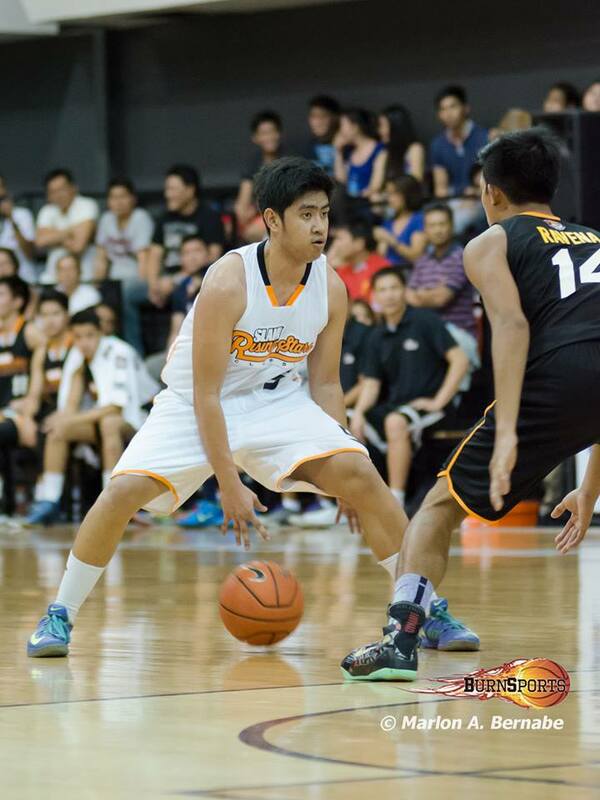 Diputado was the next most impressive baller from Team Punks next to Ravena. The former Red Cub, displayed his smarts and his patience all throughout the game. Scoring 14 points, dishing 3 dimes, and hauling down 5 boards, Adven showed his all-around brilliance. 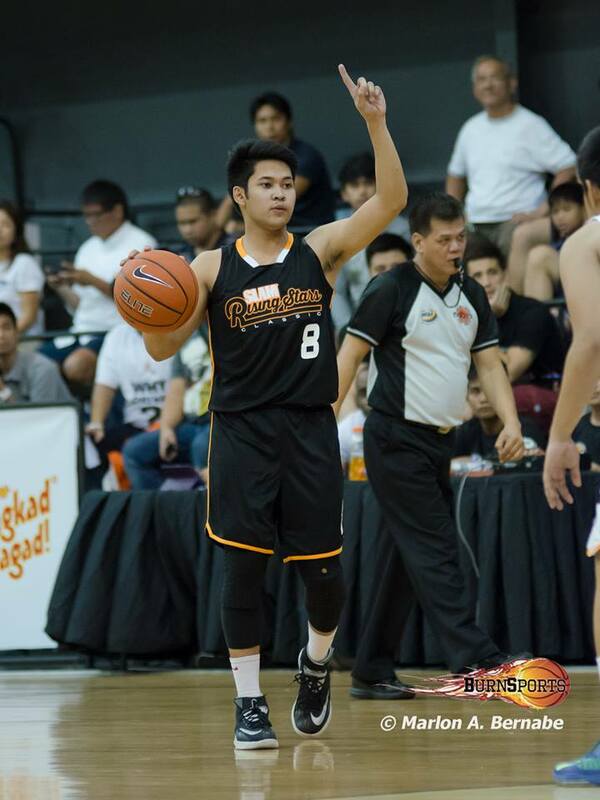 The NU Bulldogs definitely could use this very poised combo guard. Domingo is an athletic two-guard who can shoot and defend. The former Baby Tam chipped in with 9 points, 4 boards, and 3 steals for Team Punks. He looked just like he has his whole high school career: a very good complimentary shooting guard. 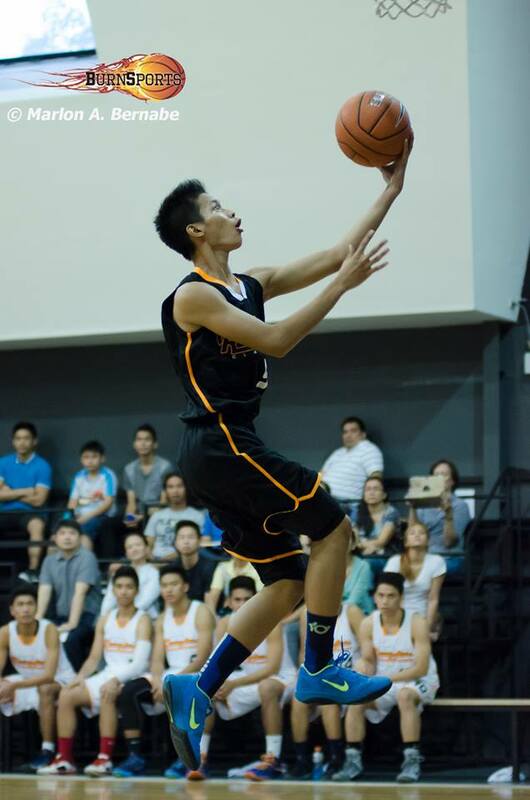 Alfren Gayosa is a very athletic and versatile small forward who passes and defends well. 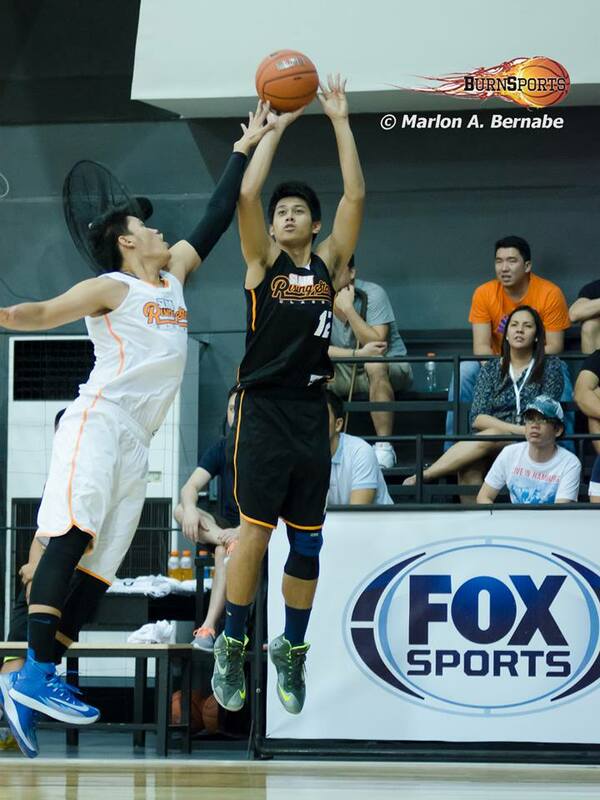 At 6’2, and with a lengthy build, Gayosa should convert well in college. If he improves his accuracy from deep, he’ll definitely make the big programs that are passing up on him right now regret doing so (he currently has no college team yet). The former Baste boy tallied 7 points, a board, a dime, and a thiefery as he showed how he can be a very good complementary forward. Jay Javelosa gets an A because he exceeded expectations. With all the athletic big men in the Rising Stars Classic, I thought that he’d be too slow or too traditional a big man for the game. But heck, he rebounded well, set great screens, and every time he got the ball down low, he finished either with a nice evading move to set up his shot or with a simple fundamentally perfect hook shot. He also showed an improved touch from midrange. The Reedley graduate and the ADMU commit finished with 9 points, 8 boards, and 2 blocks despite playing with a sprained ankle. Mocon is an athletic big man that can run the break and rebound the ball. He scored most of his 7 points on those types of opportunities in the game. 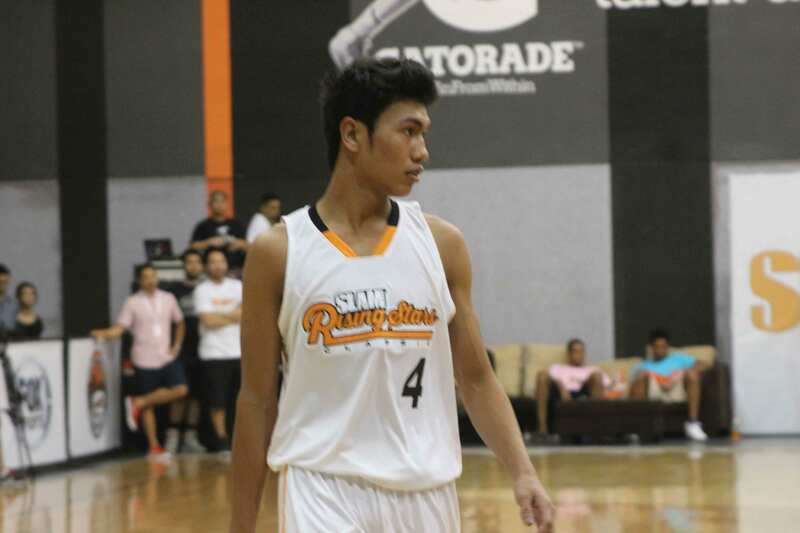 The former San Beda Red Cub, who will turn into a Lion soon, also added 4 boards. It would be interesting to see how much he’ll develop in college considering his potential. Dandan is a very raw prospect, and he showed why in the game. His inability to make quick decisions with the ball stood out like a pimple to watchful eyes like mine. Despite pro-level height and length for a G/F, Dandan struggled to finish around the rim. But if there’s one thing that this guy can do, and he firmly believes that he can do it, it’s shoot the basketball. Although he did get anything to go from beyond the three-point line, Isaiah has had better days when the rim felt as big as the ocean. 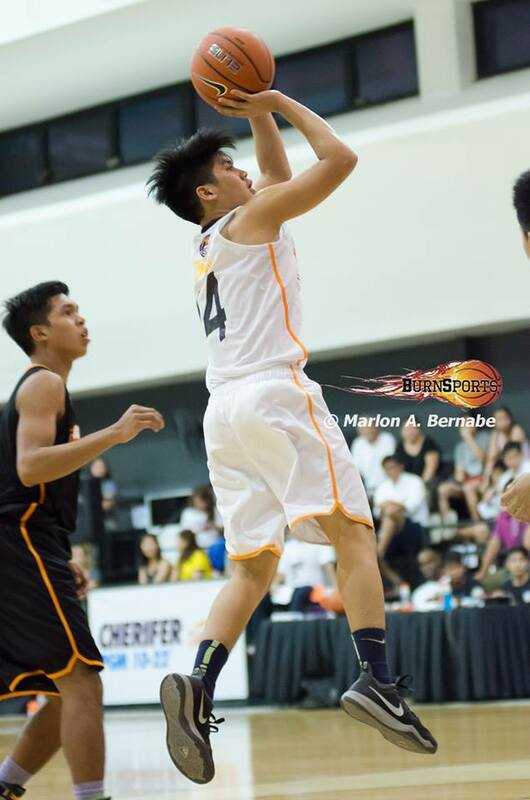 Looking at his skill and his body type, he definitely fits the UST recruit bill. Quinga is supposed to be a pogo stick who out jumps everyone for the rebound (once grabbed 26 boards in a game) and blocks (blocks leader, averaged 2.9 in the UAAP) a lot of shots. But in this game, the former Baby Falcon just seemed lost. His legs were noticeably not underneath him. He fumbled the ball many times. Most probably, he just woke up on the wrong side of the bed that day. 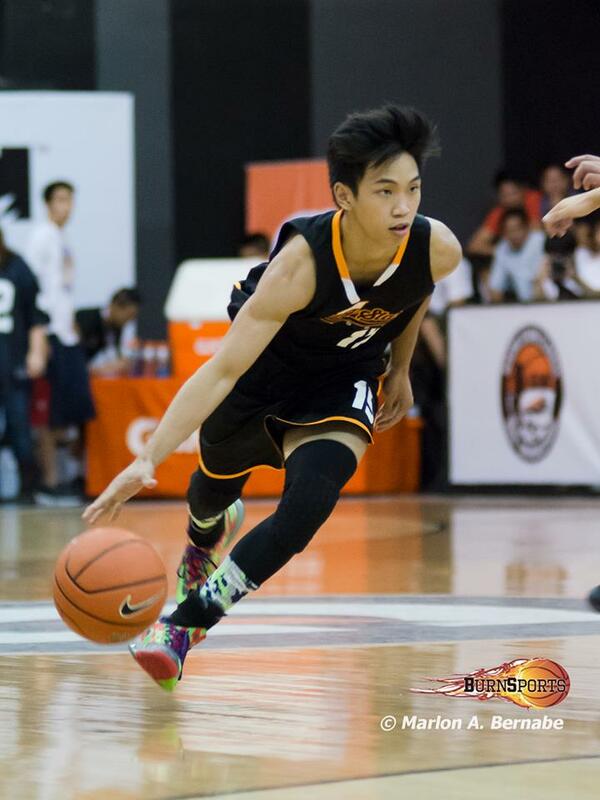 Let’s see how he develops with Saint Benilde. 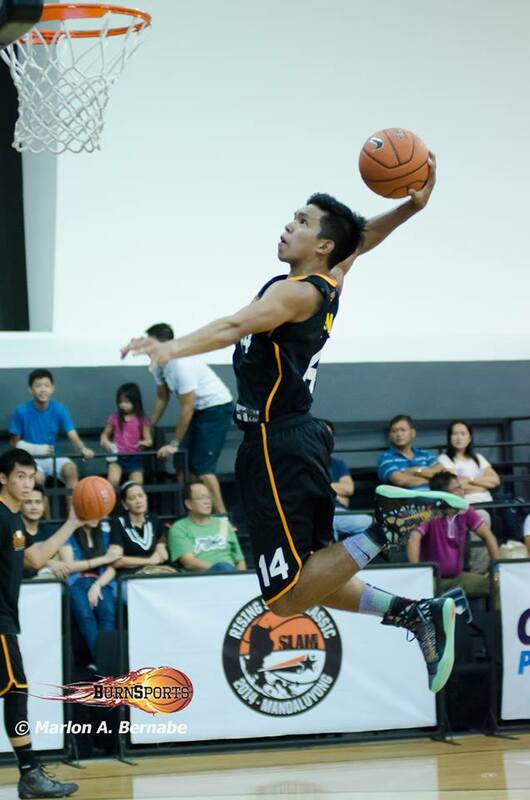 Thirdy Ravena recovered from a miserable first half at the SLAM Rising Stars Classic last week. And in the second half, he proved that his athleticism, determination, grit, and leadership separate him from the others; almost leading his over-matched team to a huge comeback W.
You know how Kevin Durant just stays focused despite missing shots consecutively? You know how he positively reinforces the other Thunder players when they do good? You know how KD encourages Perk? I saw all that in Thirdy Ravena. Amid all the positives, there’s one glaring negative: players from Team Hype were backing off from him like he has Paul Artadi’s inaccuracy from the perimeter. Oh wait, his shooting might be that bad. Subido’s biggest contribution was his 4 dimes. But he gets my vote for the Most Exciting Player of the Game. 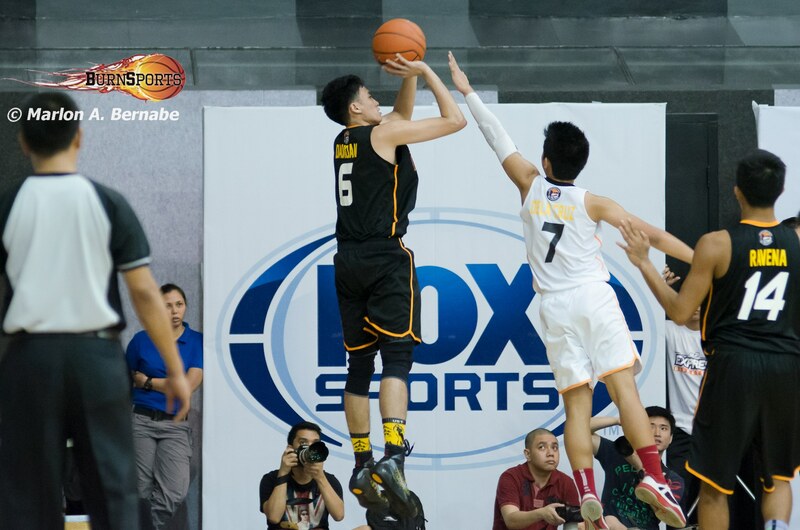 The former Zobel PG drew the most ooohs and aaahs from the crowd as he showed his explosiveness off the dribble, coming off of screens and heading to the basket. He had some really nasty moves but failed to finish a couple of times. Subido penetrated at will, as he created opportunities for everybody including himself. UST has a starting PG if they lock this guy up.